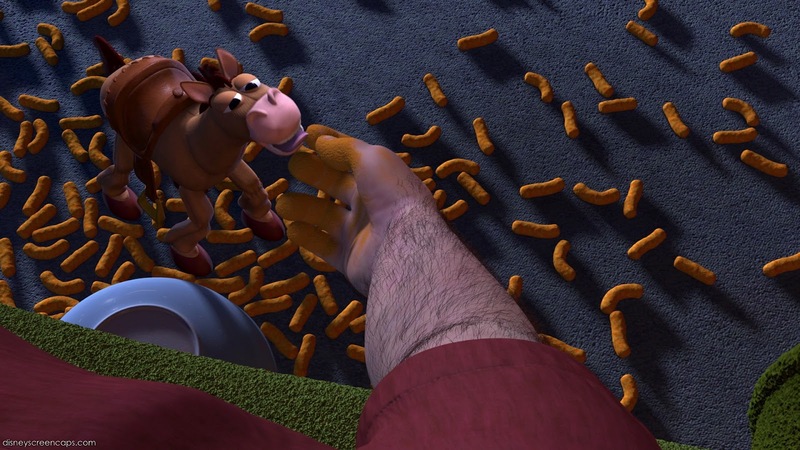 Along with Toy Story and Toy Story 3, Toy Story 2 is among the best Pixar movies out there. I was surprised how much I had forgotten in this movie. It was great watching it again and reliving the past. Sadly, there isn’t much food shown. Luckily, we have one recipe that is finger-lickin’ good (according to Bullseye). This was basically the only food shown. 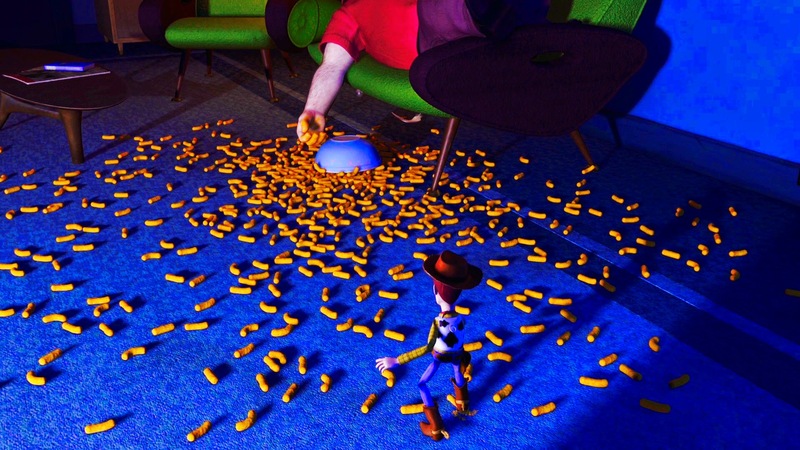 When Woody is trying to get his arm back from Newman’s Al’s pocket, he and Bullseye has to go over a minefield of cheetos puffs. 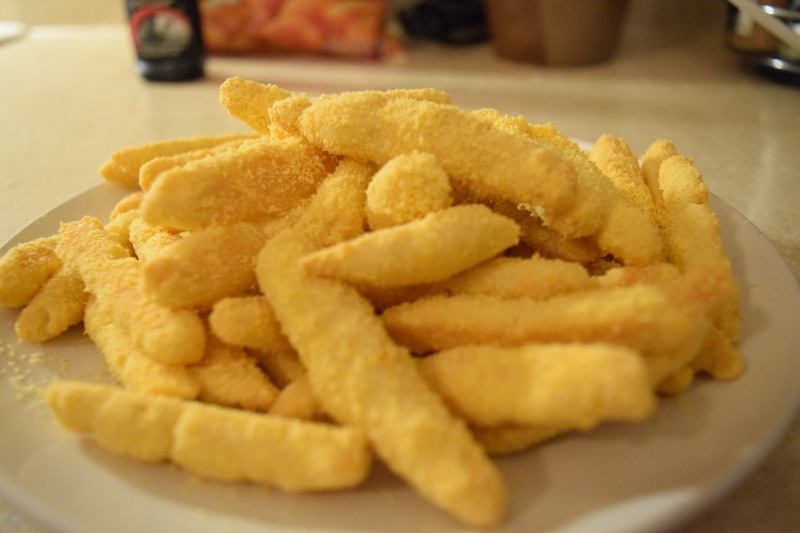 I found a recipe to make a Cheetos clone. It turned out pretty tasty. Mix the butter, salt, and garlic powder in a standing mixer with the paddle (or by hand) at medium-low speed for 2 minutes. Add the flour, cornmeal, and shredded cheese. Stir together at low speed until a firm dough forms. It should be about cookie-dough constancy. The dough should be a little flaky, but if it's too flaky and won't hold shape, add a little bit of milk. Pinch off small pieces of the chilled dough and gently roll between your palms and fingers to form logs roughly 2 to 2½ inches long and ¼ to ½ inch across. Place the cheese powder, buttermilk powder, salt, and cornstarch in a food processor and whir for 10 to 15 seconds to blend evenly. Transfer to a large ziplock bag. Add the cooled Cheetos, seal, and shake gently to coat evenly. Will it Make you Ride like the Wind Bullseye? The Cheetos were actually really tasty. The texture wasn’t quite there though.